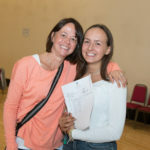 We are incredibly pleased with how our students have performed this year in their GCSE examinations. With the introduction of new, more challenging, linear courses and a new grading system in the majority of subjects, there has been a lot to contend with for students, teachers and parents. Our students have yet again risen to the challenge and have performed very well indeed. 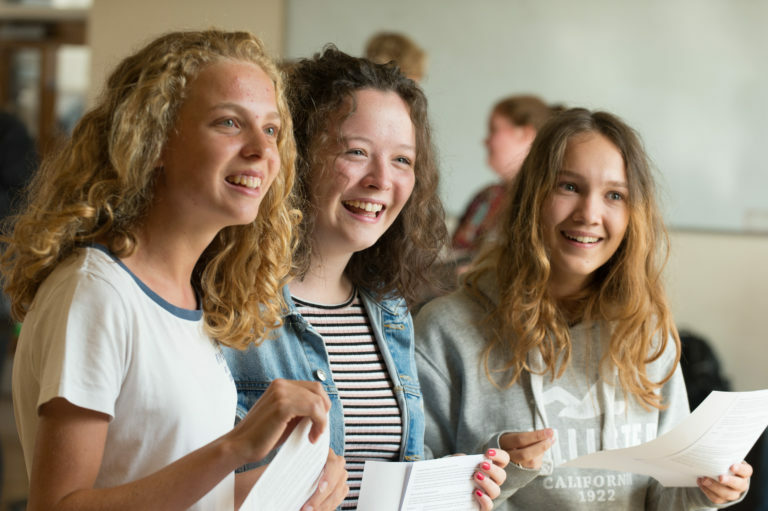 Progress in English and maths has either maintained at or improved on the high levels set last year, with 85% of our students having secured the grades 9 to 4 in both English and maths. Despite the harder examinations, our students have once again reached the highest standards. 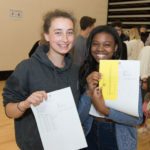 A third of all grades in the reformed subjects were at grades 7, 8 or 9, with students in triple sciences, English, maths, RS, PE Spanish and history achieving between 14% and 19% of grades at the top level 9. This exceptional performance at the top end, as well as overall, reflects our continued emphasis on providing a broad and balanced curriculum that meets the differing needs, aspirations and i nterests of our learners. These fantastic results are a reflection of the hard work and resilience of our students and our dedicated team of teachers and support staff, who together, really do strive to achieve the school’s ambition of excellence for all. We also fully appreciate and recognise the support that parents have provided during their children’s time with us; it is this partnership between home and school, which continues to be the foundation for our success. 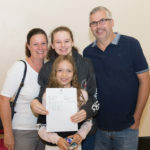 Some of the most exceptional results included Amelie Davies who achieved 11 grade 9s, Olivia Searle and Hannah Shimwell achieved 10 grade 9s and 1 grade 8, Holly Sugarman with 9 at grade 9 and 2 at grade 8 and Oliver Bean, Dom Christy, Sid Johnson & Aaron Elberg who all achieved 11 grades each at grades 9 and 8. This is a huge achievement for th em and so many other students who, who managed almost as many grades at the very top levels. Alongside these were results for some of our students who started from the lowest points on entry into the school and yet made exceptional progress. 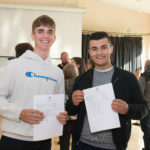 As a school we are proud to be able to celebrate the success of all our students, having endured a very tough year to gain such great results. We are very excited to be welcoming a record number of these successful students into our equally highly performing Sixth Form, where we know they will flourish.